Where's The Best Place To Buy Silver Coins? 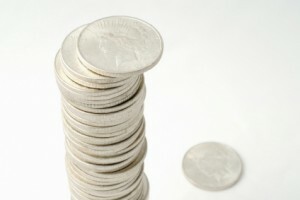 You’ve made a great decision to buy silver coins – one that could benefit you and your family for years to come. But no matter how much you plan to purchase, you need to make sure you get your silver from the right sources. By finding an experienced silver coin specialist, or even better, an established precious metals company, you can be confident in each investment you make, knowing that your decision is aligned with your goals and that the coins are priced right, every time . Before you buy silver coins, it’s imperative that you research your prospective sellers to ensure you get the expertise and knowledge you need. Let’s look at some of the ways that an experienced professional can aid you in your purchasing decisions. 1) Determining your unique goals. With so much uncertainty surrounding the economy, some invest in silver to protect their savings from the volatility of the stock market. Others do it for the growth potential, as many analysts predict the value of silver to continue its climb in the coming years. 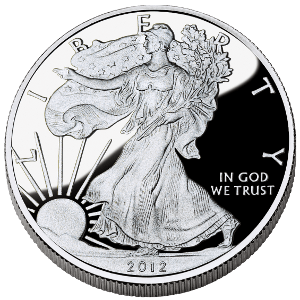 Other investors choose silver to help protect their money from the declining dollar, hedge against inflation, and thus preserve their wealth. Many people choose to purchase silver along with other precious metals, such as gold, platinum and palladium, for the greatest diversification of their portfolio. An experienced precious metals advisor can help you determine which goals are right for your situation. They will talk to you about your plans, short term and long term, and help you choose the right investments for your needs. 2) Providing their knowledge and expertise. When buying silver coins, you don’t want to purchase them from just anybody. Like any investment, you want to have the experience, knowledge and advice of a professional to rely on. A skilled precious metals advisor can be an invaluable resource for information. They can educate you on your options, so you can invest with confidence. 3) Offering accurate, current pricing. This one may seem like a no-brainer, but if you aren’t purchasing your coins from a professional, then you could be paying too much. 4) Creating peace of mind. Think about it: Would you rather purchase silver from a no-name seller or a leading precious metals company that is well-rated by the Better Business Bureau and has years of experience helping coin investors all over the globe? When you buy from an established firm, you can have peace of mind knowing that you’re dealing with professionals. Rated A+ by the Better Business Bureau, Birch Gold Group is an experienced precious metals company that offers a variety of investment options, including silver coins, gold bullion and gold-backed IRAs. Our knowledgeable advisors are always on hand to answer your questions, provide their expertise, and guide you to options that make sense for your individual investment goals. We are known for our commitment to providing exemplary service, and we are dedicated to helping you protect and preserve your wealth for the future. Contact us today by filling out the form on this page, or simply call us at (800)355-2116.